I am about to commence the writing of a leadership development program for a global engineering firm employing around 40,000 people. As part of their succession planning process, they have identified, what they call “Successors”. A group of highly talented managers with a proven track record of performance. This group of people are between three to five years away from being senior leaders in the business. Future stars. The aim of the program is to equip and prepare them for future senior leadership positions. This is an exciting opportunity for the participants as it will help them to further develop and enhance their leadership skills. I am also excited about this opportunity as I can develop this program (from “scratch”) to specifically address the individual and business needs. It is not some “of-the-shelf” customised training program that I am sometimes asked to deliver. In the lead up to securing this piece of work, I had a number of meetings (as you do), with the managing director and human resources manager at their head office in Sydney. One of the first questions I usually ask my clients in these situations is, “what specific skills do you want the participants to develop?”. Sitting in the meeting room, my mind rushed with possible answers the client will give me after I asked this question. 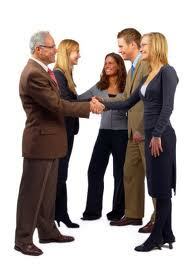 The participants are intelligent, experienced and tertiary qualified practicing managers. It is a broad question that can elicit many possible answers. The managing director paused for a moment, looked at me, then he looked towards his human resources manager. Then he looked me straight in the eyes and said without hesitation, they need people and communication skills. He then explained to me why this is the case. ” The parts of our business where we have the most issues and problems are do to the leaders in these areas not possessing adequate people and communication skills”. So here I am, writing a program for the future stars of this business, predominantly focusing on the, as it is erroneously referred to, the “soft skills”. This managing director “gets” it. No wonder I am excited. We are going to achieve things. Does your senior leadership team possess the necessary people skills? Thank you Lee, much appreciated. The idea is to share my experiences of working deep in the “engine rooms” of some of the best companies around.